Balloon Man, Best of the Land, & More! Hey guys! A lot of recent Tweets and posts to cover. First off, I want to emphasize this new video that has been added to the Creator’s “Inside Poptropica” YouTube playlist. 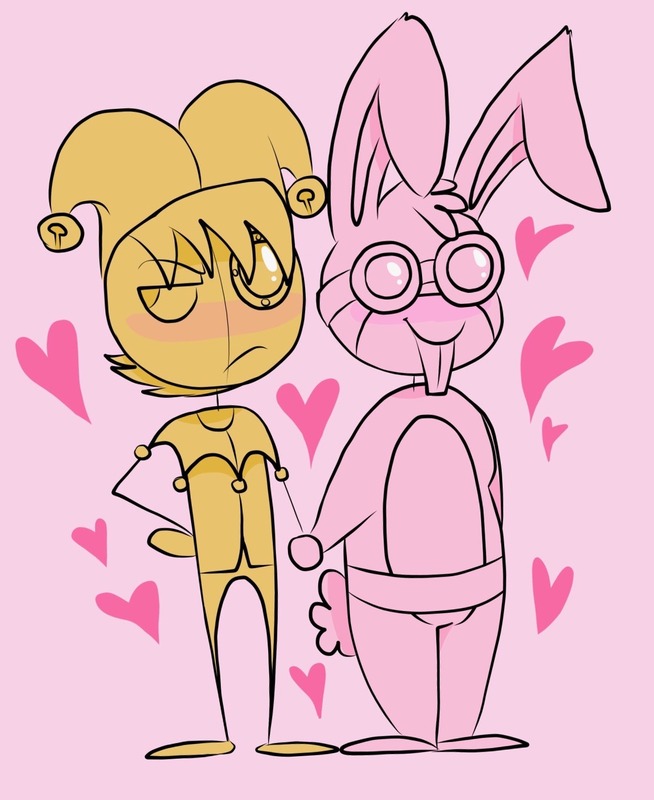 In other news, Poptropica has still been buzzing on Tumblr lately! The awesomeness has even spread to classrooms. Plus, some more concept art has been released! This time, it is for the recent “Monster High” ad. Plus, a random sketch and a boy shooting hoops on the moon (which is linked to the Lunar Colony trailer). As you may know, PoptropiCon Episode 2: Spoiler Alert has been released to members and Arabian Nights Episode 1: How Bazzar has been released to everyone. To celebrate, there is a new PoptropiCon themed costume in the Store, called Popzilla. I also want to share an awesome site that the Creators found. It is called Ask the World’s Most Dangerous Losers. On the site, you can send in any question to be answered by the Poptropica Villains! 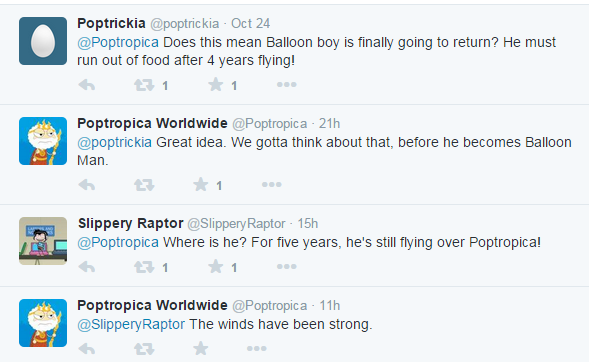 Note that this is a fan site, therefore fans are answering the questions, not the Poptropcia team. Still, it’s pretty cool! Anyway… The Best of the Land: Dream Houses have been announced! Look at that! The PHB’s own Slanted Fish is among the best! Click here for an in depth tour of her creation. Nice work Fishy! The Best of the Land: Villages has also been announced! Thankfully, we are on time for this one. Click here to go vote for your favorite! The poll should be to the right of the page. The next theme in the contest is an obstacle course, so good luck everyone! Once more thing! 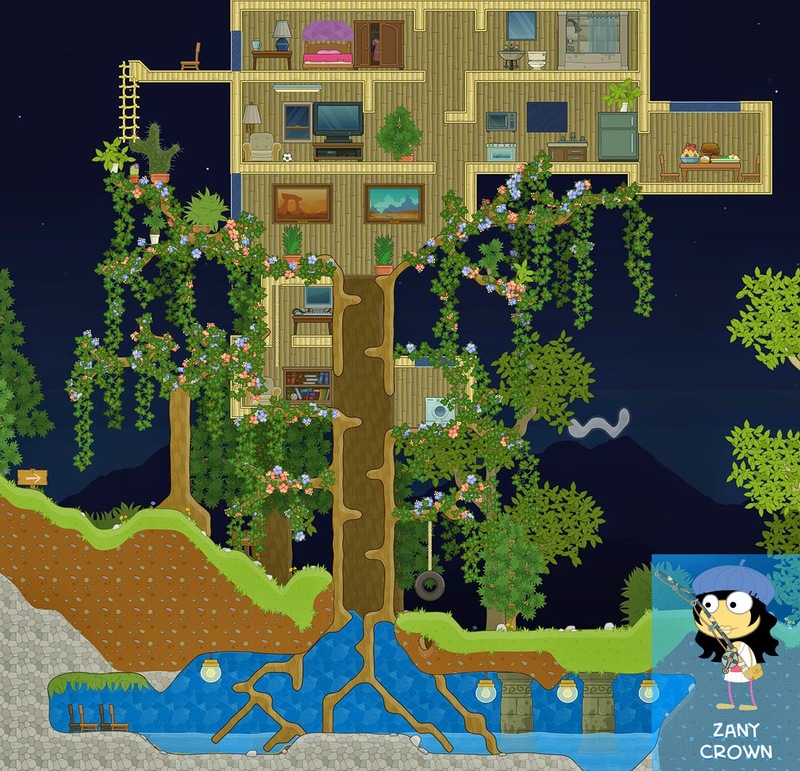 Survival Episode 5, along with free Halloween costumes, are now available in the Poptropica app.